During the 1930's and 1940's two scholars working at the University of Toronto began to outline a new theory of the role played by media of communication in shaping consciousness. English-born and trained classicist Eric Havelock studied ancient Greece's transition from an oral to a literate culture and the changes in mentality this brought about. Harold Innis, in Empire and Communications, linked the rise and fall of empires to the media they had employed - from stone and clay to papyrus, parchment and paper. In a second book published after his death, The Bias of Communication, Innis broadened his theory and proposed fundamental questions such as: What assumptions do communications media take from society and what assumptions do they contribute? What forms of power do they encourage? Marshall McLuhan, then a young English professor at the University of Toronto, was inspired by Innis and took up these questions. After he published The Gutenberg Galaxy: The Making of Typographic Man in 1962, he modestly said that his celebrated book was but a "footnote" to Innis. A series of influential works followed, notably Understanding Media, and McLuhan's reputation spread. The University of Toronto established the Centre for Culture and Technology to further his work and keep him in Toronto. After McLuhan's death in 1980, the university tried to close the centre, but protests from around the world and a determined local effort by McLuhan's inheritors kept it open. 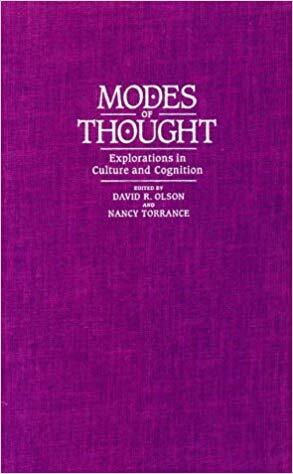 In 1987 two of these inheritors, David Olson and Derrick de Kerckhove, convened a major conference on "Orality and Literacy," bringing together many of the scholars who had contributed to the school of thought that Havelock, Innis and McLuhan had founded. Eric Havelock attended in what proved to be the last year of his life. Walter Ong, another major contributor to this school, was expected but had to withdraw at the last minute. I covered the conference for Ideas, establishing a temporary studio in the basement of Emmanuel College, where the meeting was held, and interviewing the speakers in whatever intervals the proceedings upstairs allowed. The result was a three hour series, broadcast in 1988, which I called "Literacy: The Medium and the Message." "Orality and Literacy," the conference's title, would have better represented its contents, but I was afraid that orality might be an unfamiliar term to some listeners, and might call to mind thumb-sucking rather than non-literate ways of life. The gathering that inspired these programmes was momentous for me in two ways. The first was the result of my preliminary explorations into the subject, which made me realize for the first time in my life just how deeply I am a reader - someone who depends on the sense of stablility and permanence that writing imparts to my words and ideas. It wasn't that I didn't know how much time I spend reading and writing, but that I had never really considered that there might be an alternative. Illiteracy, in modern societies, is generally treated as a state of deprivation, rather than as a different form of consciousness. Thinking of oral society, and of the possible emergence of a post-literate society, I grew more aware of some of the unique, curious and possibly transient features of the island of letters on which I have lived my life. The second momentous happening was re-encountering Ivan Illich, someone I hadn't seen since I had helped to organized a lecture by him in Toronto in 1970, though I had continued to be an avid reader of his books. He was at the conference because he had just co-authored a book with Barry Sanders, who was also there, called ABC: The Alphabetization of the Popular Mind. Meeting him again led me into a relationship that continues to preoccupy me to this day. Out of it came two long radio series - "Part Moon, Part Travelling Salesman," and "The Corruption of Christianity" which you can find elsewhere on this site; two books - Ivan Illich in Conversation and The Rivers North of the Future; a tender friendship; and connections to a number of other thinkers who would also become my radio subjects, among them Barbara Duden, Nils Christie, John McKnight, Wolfgang Sachs, Uwe Poerksen, Gustavo Esteva, and Majid Rahnema. I am currently at work on an intellectual biography of Illich. So, as well as producing what I think is still an interesting radio series, those three days at Emmanuel College in the summer of 1987 also changed my life.